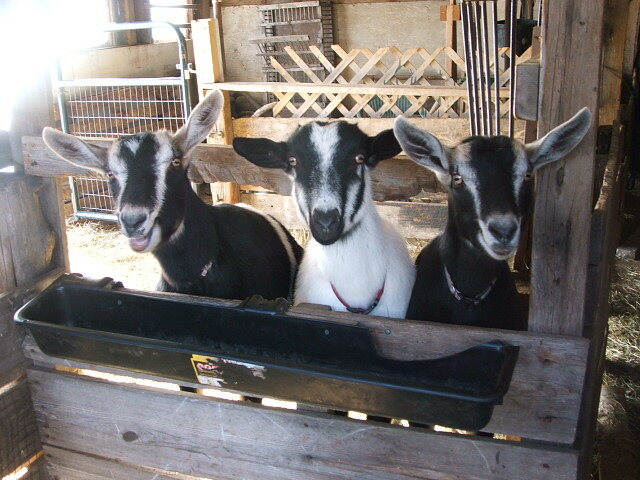 we start kidding (baby goats born) from March 9ish through the month. 8 does are bred but Wilfred did get into the girls barn and may have visited 4 more does so who knows The kids are very cute and love to be loved especially if you are bottle feeding them. Your kids are welcome to feed my kids, though we do ask you to wear shoes or boots (no sandals). We will start selling raw milk soon after the kids get theirs. 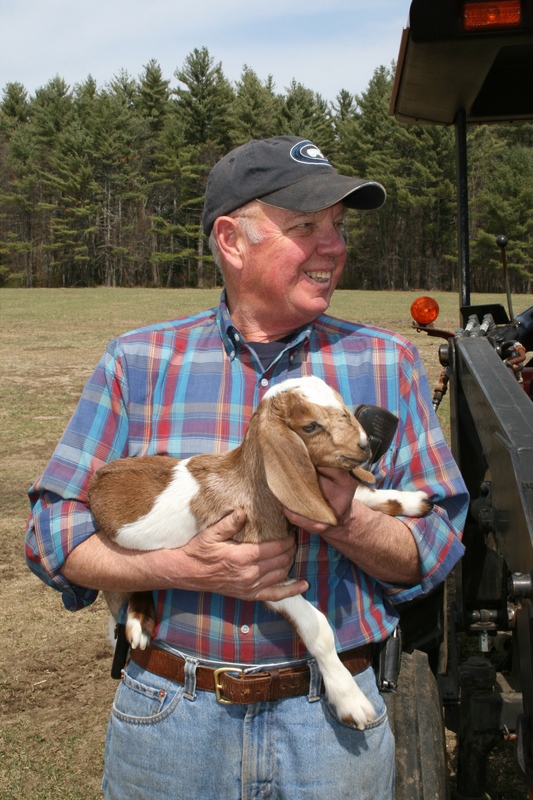 We have our NH Class G license allowing us to sell USDA inspected goat meat. We have goat meat in ground, stew meat, kabob meat and sausage ( breakfast, Italian, Hot Italian and Very hot) Goat meat is very mild, low in fat and cholesterol high in protein. Check it out. Esther, Helen, Priscilla, our first does now grandmothers to our herd. The dairy business is going well and we will double our milking herd this March. All the does at both farms, Butternut Farm and Holland Farm, are bred and will start kidding (giving birth) the middle of March. A great time to visit the farm, kids are cute and friendly. The does (adult females) will start giving milk again so we can provide milk and cheese all summer until March 2016. We are a NH State Licensed Dairy which means an inspector comes to the farm to test our milk and check the farm processing plant. Customers are also welcome to see our milking operation. All of our animals were tested again by UNH for the diseases that could be transmitted to people and are negative and our milk is tested monthly for bacteria and antibiotics. We feel it is important to take the extra step for the safety of our product and the health of our animals. Goat milk is more easily digested than cows milk and many people find they can tolerate it better. We are starting a whole new career, Milford Goat Dairy LLC.